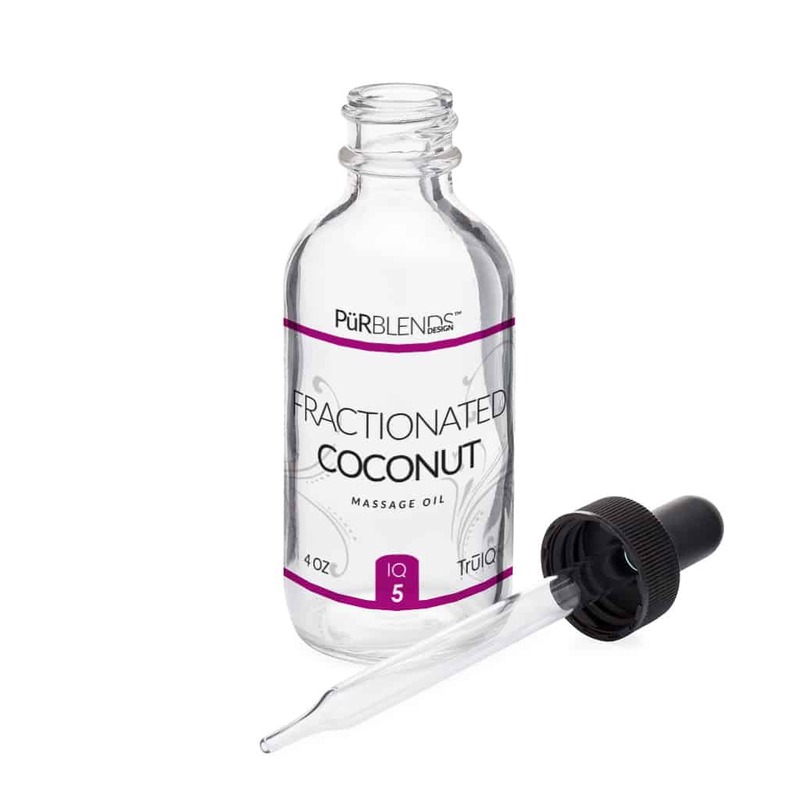 Fractionated Coconut Oil – TrūIQ® is excited to have one of the healthiest and hydrating oils on earth as part of our product line. We have sourced the best coconut oil available for our Bellá Allume™ products and our moisturizing massage oil, perfect with any of our essential oils. Coconut oil has been a mainstay for different societies for centuries. This oil has been used for, literally, thousands of years! Coconut oil has several health benefits, the most important ones being its usefulness in hair care and skin care. In coastal regions, including the South Pacific, South and Central America, Africa and most of Asia it has been used for both cooking and in beauty products. Women in tropical coastal regions of the world use this oil for their hair almost daily, which helps maintain lustrous and thick hair. By regularly massaging your head with coconut oil, you can ensure that your scalp is dandruff free, even if your scalp is chronically dry. Coconut oil can also assist in healing burns and other skin and muscle ailments. Unlike mineral oil, there is no chance of having any adverse side effects on the skin from the application of this oil. The finest oils from the coconut are used in Virgin Coconut Oil and in Fractionated Coconut Oil. Both are available through TrūIQ® Products. Virgin Coconut Oil is found in our skincare products. It is produced by using the meat of the fruit and extracting the pure oil. Once the oil has been cleaned, it is then sent to be added to our Bellá Allume™ products with a high concentration in our Relaxing Sugar Scrub. Fractionated Coconut Oil (FCO) is the best liquid coconut oil found. 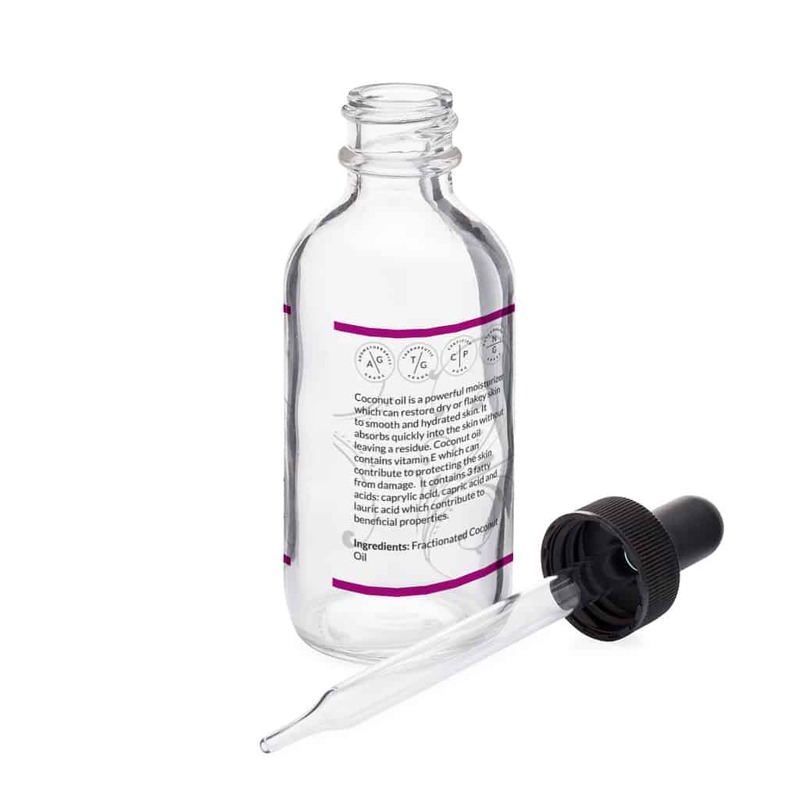 It is processed to a liquid state leaving effective moisturizing and rejuvenating properties. Used with our PürBlends™ oils, this amazing product will definitely enhance your massage or diffusing experience. Coconut oil has several health benefits, the most important ones being its usefulness in hair care and skin care. Women in tropical coastal regions of the world use this oil for their hair almost daily, which helps maintain lustrous and thick hair. Coconut oil can also assist in healing burns and other skin and muscle ailments. Topical: Use alone or blend with any of our essential oils and apply to skin as desired. Aromatic Use: Use alone or blend with any of our essential oils and apply to skin as desired. Caution: Possible skin sensitivity. Keep out of reach of children. If pregnant or under a doctor’s care, consult your physician before use. Our high-end, all-natural and 100% pure line of oils have all been developed by TrūIQ®’s own in-house Certified Aromatherapist and have been tested and verified pure by Analytical Recourse Labs (ARL), a leader in the certification of quality and purity. Our exclusive line of custom purpose-driven Essential and Signature line of botanical oils. When used with TrūIQ®’s exclusive line of skin care products and Home & Heart jewelry programs, you can be assured that your experience with our essential oils will be rewarding on many different levels. Our exclusive line of custom purpose-driven Essential and Signature line of botanical oils. When used with TrūIQ®’s exclusive line of skin care products and Home & Heart ™ jewelry programs, you can be assured that your experience with our essential oils will be rewarding on many different levels.